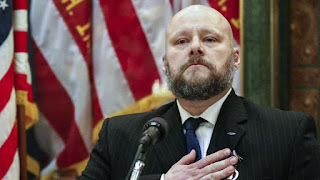 At age 40, Will Milzarski, an attorney, took leave from his state government job to return to the U.S. Army. After completing officer training, he served two tours of duty in Afghanistan. where he led more than 200 combat missions. On his last day in combat, Milzarski was wounded in the face, which left him with a traumatic brain injury, hearing loss, and post-traumatic stress disorder. He was later determined to be totally disabled. Milzarski returned to civilian life with $223,000 in student-loan debt, most of it acquired to obtain a law degree from Thomas M. Cooley School of Law. In accordance with its policy, the Department of Education forgave all of that debt due to Milzarski's disability status. But then this wounded veteran received a surprise. The IRS considers forgiven debt to be taxable income, and thus it sent Milzarski a tax bill for $62,000. Milzarski summarized his experience well. "One part of our government says, 'We recognized your service, we recognize your inability to work," Milzarski said. "The other branch says 'Give us your blood.' Well, the U.S. Army already took a lot of my blood." Nearly 400,000 disabled Americans have student-loan debt, and this obscure tax provision impacts nearly all of them. Although they are entitled to have their student loans forgiven due to their disability status, this forgiveness comes with a tax bill. And disabled student-loan debtors are not the only people affected by the IRS forgiven-loans rule. 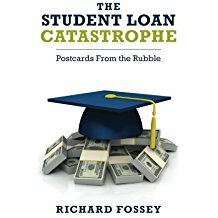 More than 5 million student-loan debtors are in long-term, income-driven repayment plans (IDRs), and most of them are making monthly payments so low that they are not repaying the accumulated interest. Under the terms of all IDRs (there are several varieties), college borrowers who successfully complete their 20- or 25-year repayment plans are entitled to have any remaining debt forgiven. But IDR participants, like retired Lieutenant Milzarski, will get a tax bill for the forgiven debt. Obviously, this state of affairs is insane. President Obama recommended a repeal of the IRS rule when he was in office, but nothing came of his suggestion. Surely a bill to repeal the IRS forgiven-debt rule would receive bipartisan support in Congress. Who could decently oppose a repeal? In fact, President Trump can probably reverse the rule that is persecuting Mr. Milzarski simply by signing an executive order. I predict, however, that that nothing will be done about this problem--either legislatively or by executive action. Washington DC is in so much partisan turmoil that almost nothing positive is getting done. Under current tax law, millions of student borrowers in income-driven repayment plans will have huge tax bills waiting for them when they complete their repayment obligations and have their remaining student-loan debt forgiven. And unlike retired Lieutenant Milzarski, who is in his forties, most IDR participants will be in their sixties or seventies when their tax bills arrive in the mail. And if they can't pay their taxes, that will not be the government's problem. The IRS will simply garnish their Social Security checks. Associated Press. Wounded Michigan vet gets student loan debt forgiven, but now IRS wants $62,000. Chicago Tribune, October 20, 2017. Judith Putnam. Student debt forgiven, but wounded vet gets $62,000 tax bill. USA Today, October 20, 2017.